SCUBAPRO's FULL-FACE MASK is a professional quality mask designed for maximum safety and comfort while diving in very cold water, diving in wrecks or caves or when technical diving. The FULL-FACE MASK features large anti-fogging treated lenses that provide a wide field of view and create an open, airy at-depth experience. The design is also ideal for using a secondary air source, for diving in contaminated environments, or if you want to set up an underwater communication system. 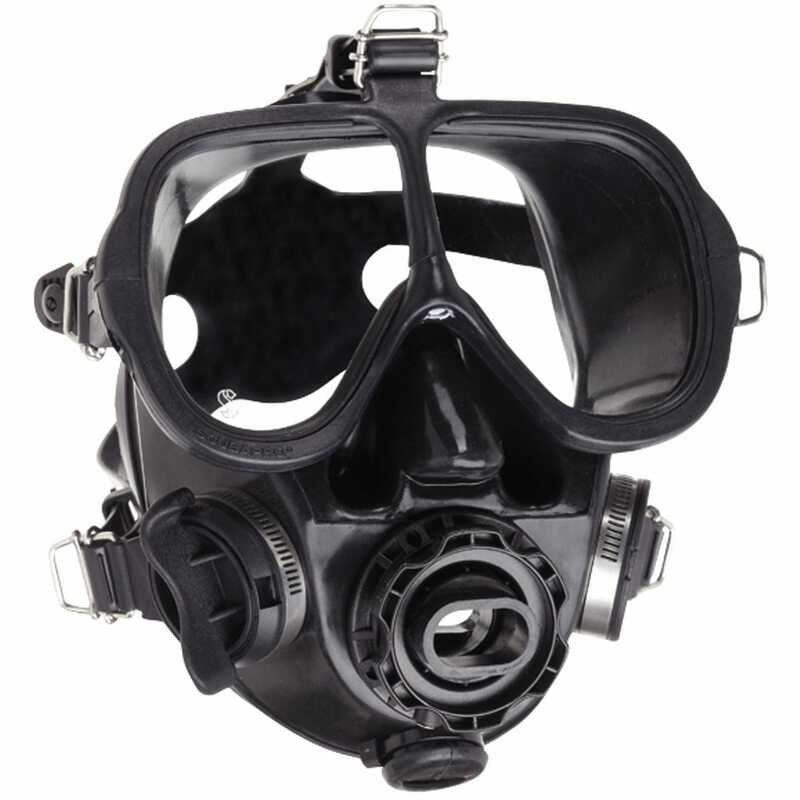 For this reason, the mask is widely used by military and commercial divers. However, it is also a viable option for recreational divers who want to take their diving experiences to the next level.